Relyze - Interactive Software Analysis: Relyze 3 Beta - New decompiler and licensing changes! Relyze 3 Beta - New decompiler and licensing changes! We are excited to make the next major release of Relyze available for early preview with the introduction of the Relyze 3 beta. This beta release includes our new decompiler for ARM, x86 and x64 and is free to use for non commercial purposes and is not time limited. We will be releasing updates for the beta over the next few months as we improve the stability and accuracy of the decompiler. We plan to officially release Relyze version 3 around the end of Q3 of this year. Visit the beta page to download your copy and explore the next version of Relyze! We invite all beta users to log any issues encountered in our public issue tracker so we can address them. To help make Relyze available to as many people as possible, we are restructuring the Relyze product licensing after version 3 leaves the beta and goes into general availability. A license to use Relyze Standard will become completely free for non commercial usage, while a license for Relyze Professional will remain a paid subscription and will include several features not present in a Standard license, including non commercial usage, priority support, the ability to perform batch analysis, command line usage, and binary diffing. The pricing model for Relyze Professional we remain at the same rates we currently charge for Relyze Professional. All existing customers with a current Relyze Standard license will be brought up to an equivalent Relyze Professional license, while all existing customers with a current Relyze Professional license will have the update subscription period of their license extended in a pro rata fashion to account for the change. Updated 6 April 2019 - Added public bug tracker link and clarified pricing. 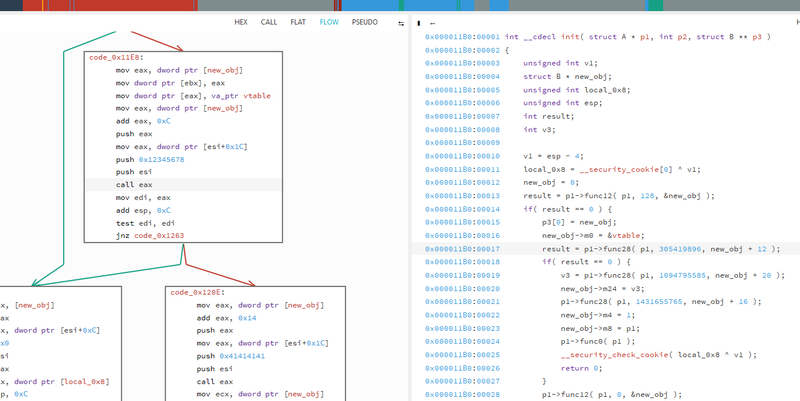 Relyze 2.5 now with multi threaded analysis! Relyze 1.6 with ELF binary support! Based in Ireland, Relyze Software Limited offers professional software analysis solutions and services, giving you greater insight towards how your software works in order to identify defects, compliance, security, interoperability and performance issues. Subscribe to our low volume e-mail newsletter and stay informed about our latest news and product updates.